Make a show stopping entry in this sparkling red gown. 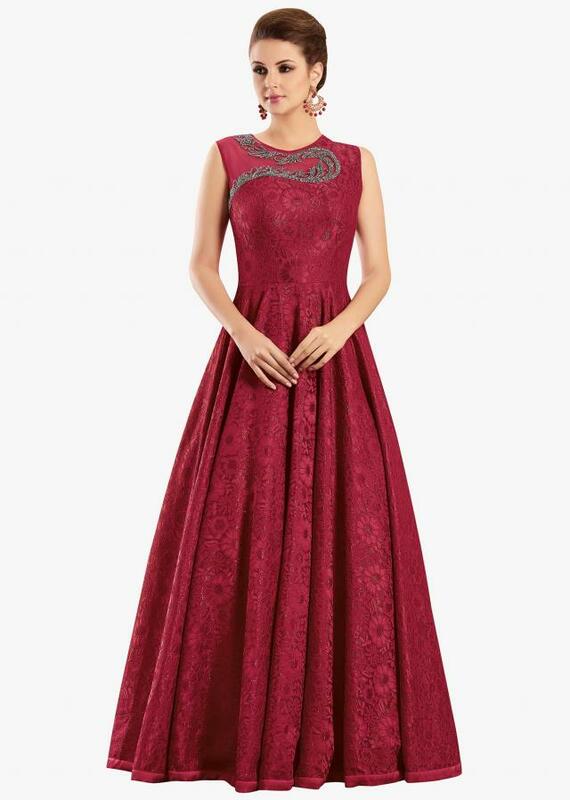 The gown is featured in beaming red lace fabric. It is intricately designed using the kundan and cut dana work over the neck line. The perfect flare of the gown updates the design to yet another level.